I am an Amazon Affiliate. Most of you are back in school or thinking about returning soon. I started back to work this week and am putting together some language activities for Laura Numeroff's book, If you Take a Mouse to School. Here are some links to great budget priced (FREE) activities to pair with this book. Your students will love this animated version of If you Take a Mouse to School on YouTube. Check out Andrew Ghio's other animated books as well. At Teachers Pay Teachers find FREE If You Take a Mouse to School Visuals and If You Take a Mouse to School Spatial Concept Flashcards. Find more visual supports at Boardmaker Online and look at my Why Question - Companion Activity for If You Take a Mouse to the Movies. It can easily be used with If You Take a Mouse to School. Kristen, at Pinning With a Purpose, used this book to teach her children the setting of a story. Her activity could be adapted to use in therapy to teach setting or where questions. Visit Kinder Gals to see their version of If You Take a Mouse to School. They use the book to introduce their students to school personnel and locations. Find free word cards (with visuals), a snack idea, and mouse craft at 1st Grade hip hip Hooray. 2 Teaching Mommies offers a free printable "school supply unit." The pictures can be printed and used for numerous classroom activities. The Which is Different Activity would make a nice why/how question activity. There are many activity suggestions for this book to elicit oral language at Promoting Success for You and and Your Students. Here are just a few. Look at the illustrations of the boy and mouse getting ready for school. Ask your students to tell what they do to get ready for school each morning. Create a pretend story of a stuffed animal's adventures in school. Do a simple science experiment (Adapt this for therapy by taking photos of the steps and allowing students to tell the procedure using the photos for support.). The interactive, printable book In My Backpack can be found at 4GASLPs. Recite "Backpack, backpack, what is in the backpack?" as you pull items out of a backpack. Students can name the items and answer questions about the functions of the objects. I created a simple PowerPoint book to go along with the activity. 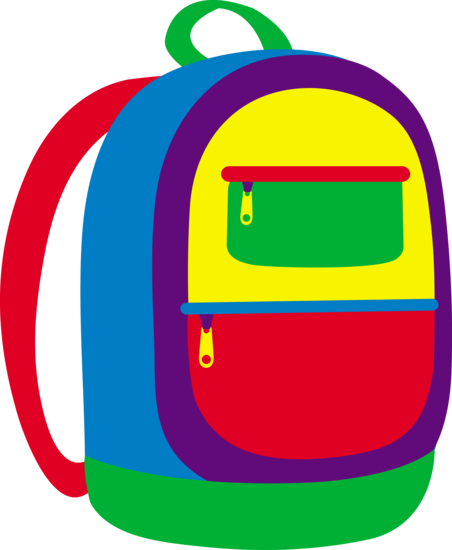 You can download Backpack, Backpack here. Take pictures of student's backpacks and lunchboxes. Students can respond to the questions, "Whose backpack is this?" or "Whose lunchbox is this?" Responses might include mine, my, pointing to self or others, or possessive nouns such Mary's backpack. At MouseCookieBooks.com find activities, games, songs, printables and a teaching guide with over 40 activity ideas to use with Laura Numeroff's books. This book and other Laura Numeroff books are easily used for discussing wants and needs. Have fun describing school supplies. Use magnifying glasses or a document camera to inspect a variety of school supplies. I hope that you found this post useful. My posts will occur about once each month - minus summer break of course. However, I am always looking for freebies and new therapy ideas and will share these weekly on my Facebook Page. I always look forward to your posts! Have a great school year!